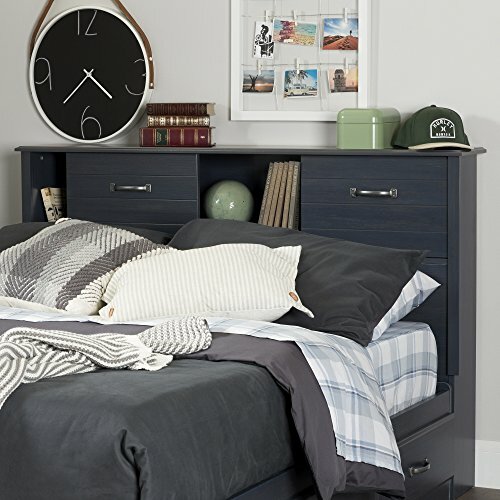 The furniture in our Ulysses collection will blend perfectly with your kid’s classic style room – or even your own! These pieces, with their rich, timeless finish, will add a touch of distinction to your decor. Their great design and handy storage mean you’ll enjoy them for years to come. Combine it with the bed from the same collection (10366). 2 sliding doors, 3 storage spaces. Metal handles. Shelf #1 dimensions: 17.5'' (L) x 7.5'' (D). Shelf #2 dimensions: 18.25'' (L) x 7.5'' (D). Meets or exceeds all North American safety standards. Bed and accessories not included. Requires complete assembly by 2 adults (tools not included). 58.25'' (L) x 9.5'' (D) x 40.25'' (H). Box dimensions: 64.17'' (L) x 15.27'' (W) x 4.45'' (H), 59 lb. Packaging tested and certified to reduce the risk of damage during shipment. Made in Canada with non-toxic laminated particleboard. 5-year quality guarantee. Any questions? Contact the manufacturer, available 7/7 by phone, email or chat.